If future homeowners are in the market to purchase a house that needs extensive repairs and maintenance work prior to moving in, they can finance an FHA 203(K) loan. Some lenders do not grant loans to homeowners that want to purchase a home that is in poor condition or until repairs have been made. And most of the time, repairs cannot be made until you own the home. That is when the FHA 203(K) loan comes into play. This loan combines expenses by allowing homeowners to purchase the property, in addition to covering the repair and improvement costs. What is the difference between a 203(K) streamline and 203(K) standard loan? A 203(K) streamline loan is used to purchase or refinance a home that needs minor repairs or upgrading. The total repair escrow amount including all eligible fees cannot exceed the maximum limit of $35,000. Streamlined 203(K) improvements include repairing the roof, replacing the gutters, upgrading the plumbing, heating, cooling or electrical system. Also includes non-structural repairs, such as interior or exterior painting; and upgrading appliances, such as the refrigerator, washer, dryer or built-in microwave. Basement remodeling, basement water proofing, window and door replacement are also accepted with a streamlined 203(K) loan. A standard 203(K) loan allows homeowners to borrow a minimum of $5,000 for eligible improvements. In order to complete the transaction, all Minimum Property Standards (MPS), Health & Safety, local requirements and repairs cited by the FHA appraiser are required to be satisfactory. Standard 203(K) improvements include plumbing and electric upgrading, roofing repairs, floor treatments, energy efficiency items, upgrading heating and cooling units, structural work or replacing free-standing appliances. How do I qualify for a rehab loan? First, you need to find a property that needs sufficient improvements before you can live in it. From there, make an offer on the house. Remember to include in your purchase and sale contract that you are using an FHA 203(K) loan. Only qualified lenders can approve of an FHA 203(K) loan. The HUD can provide you a list of qualified lenders that can assist you. 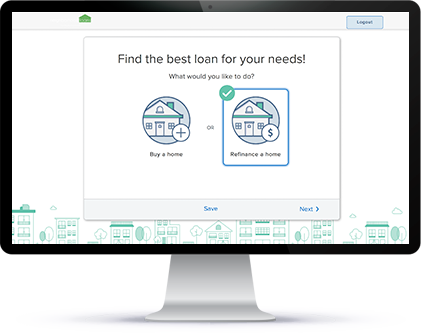 Once you have chosen your lender, you will submit a loan application, which includes a detailed list of repairs and improvements that need to be made and the cost of each repair. Your mortgage lender will have their own set of requirements for homeowners to meet. In order to qualify, you must meet all of their requirements. These qualifications typically include minimum credit scores, proof of income, debt-to-income ratios and down payment. After your loan is approved, a closing date will be set. When closing day arrives, the seller will be paid. The money to cover rehab expenses will be placed into an escrow account which will be controlled by your mortgage lender. Once the closing phase is completed, your contractor may begin rehab construction. During certain points of the rehab process, your contractor will list what projects have been completed and their total costs. Your lender will request these updates to see if improvements are acceptable. If improvements are approved by your lender, they will be paid from your escrow account. What are FHA 203(K) loan limits? With refinancing, they have similar loan limits as above. However, homeowners should evaluate their existing debt and fees of their existing loan. With a streamlined loan, you can borrow as much as the purchase price of the home, in addition to $35,000 with no minimum repair costs. In order to get an accurate as-is value on the property or an estimated value of the property post-rehab, homeowners may need to get an appraisal. What are FHA 203(K) allowable repairs? There are two types of FHA 203(K) loans homeowners can finance. A regular or standard 203(K) loan is designed for properties that need structural repairs, remodeling, landscaping or room additions. A streamlined or limited 203(K) loan is meant for energy conservation improvements, new roofing, new appliances, or non-structural repairs, such as painting. However, this loan does not cover more luxurious additions, such as a tennis court, fire place or pool. Additions that are used for commercial use are not accepted. These renovations do not help the home’s overall quality or become a permanent part of the property. Properties also must qualify under FHA requirements already established by the Department of Housing Urban Development (HUD). For example, the home’s value cannot exceed the loan’s maximum amount, which depends on what area you live in. What are FHA 203(K) contractor requirements?